Have you ever felt like you were just in over your head? Like your circumstances were beyond your control? I sure have! In fact, I was just feeling this way the other day! But… the GOOD news is, we don’t have to shoulder the load ourselves. Jesus says in Matthew 11:30, “My yoke is easy, and my burden is light.” So… what does that really look like, when we have real problems that are weighing us down? Serious life issues that we are facing, that we don’t know the answer to? How can our burden be “light” when what we are facing is the unknown? I have learned that it’s during these times in my life (when I truly don’t know what to do in my own strength) that I need to simply enter into the rest of God and have a quiet child like confidence — trusting my Abba. WOW! What a powerful truth! God is so intimate and involved in our day to day lives. He can truly be trusted. My encouragement to you is… Enter into the REST of God. What ever you may be facing today, He will work on your behalf while you rest and trust Him. His yoke is easy, and his burden is light. 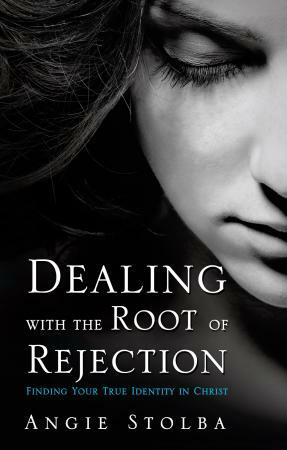 Coming to bookstores this fall is my life story Dealing with the Root of Rejection. FOLLOW this blog as I share my life journey with you, offering stories and practical biblical principles that will ensure we’re growing to be all God intended us to be as women of God living in confidence! Just click on the “Follow” button!